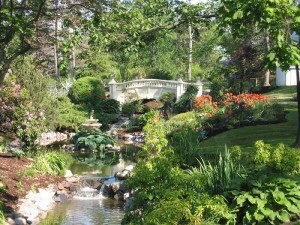 The beautifully landscaped Halifax Public Gardens are among the city’s greatest treasures. This is the perfect place to unwind between sightseeing and shopping. Small but perfectly formed, you can walk around the gardens in as little as 15 minutes but many visitors spend hours or return several times to enjoy the peaceful grounds. Large wrought-iron gates guard the entrance to the Victorian gardens, which have been a green oasis in the middle of Halifax since 1867. Today, full-time caretakers ensure all the plants, trees and lawns are well taken care of. Ducks, swans and other birds call the gardens home. You’ll also find statues of Roman goddesses in the gardens and two fountains. The Nymph Fountain was built in 1897 in honour of Queen Victoria’s Diamond Jubilee, while the Soldier’s Boer War Memorial Fountain dates from 1903. Just strolling around the gardens is nice but the atmosphere is enhanced in the summer by free Sunday afternoon concerts in the bandstand and by the many wedding parties taking photographs against the beautiful backdrop. Directions: Around the corner from Citadel Hill and uphill from the waterfront. Four of Halifax’s main streets border the park: Spring Garden Road, Sackville Street, South Park Street and Summer Street. Opening hours: May to November, 8am to sunset.